Baked Coconut Sticky Rice Cake is easy to make and a delicious version of Chinese sticky rice cake. This sweet treat can be enjoyed for Chinese New Year or as dessert throughout the year. 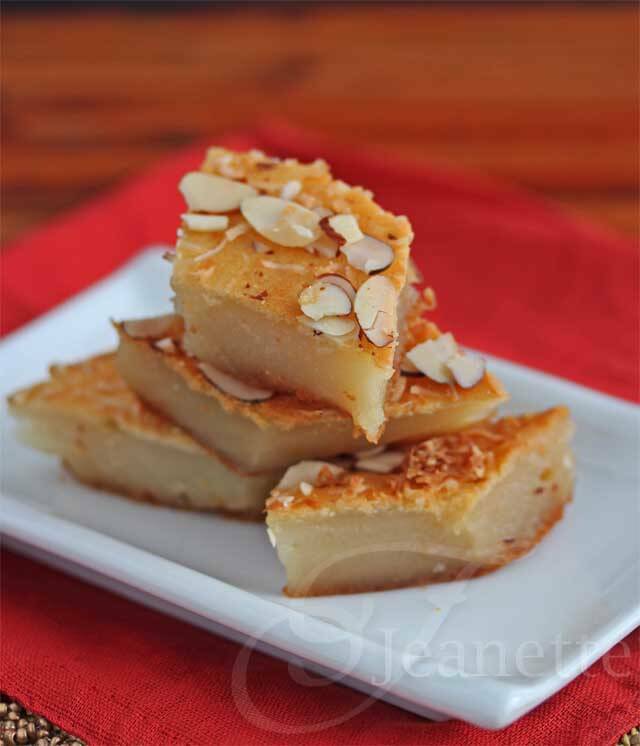 This year, for Chinese New Year, I’m sharing a very special recipe – my Auntie Florence’s Coconut Sticky Rice Cake. 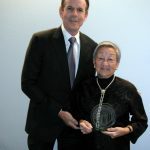 Into her 90’s Auntie Florence was as spry as could be. She lived until she was 97 years, and authored five comprehensive Chinese cookbooks of which I am the proud owner. The recipe for this coconut sticky rice cake was told to me over the phone by my aunt back in 2012 when I was looking for advice for a recipe I was trying to recreate. 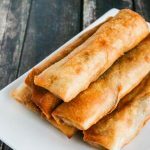 She described this simple Chinese New Year recipe, which was a favorite of hers. 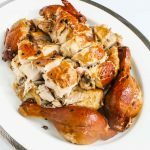 You won’t find this recipe in any of her cookbooks, so it’s is extra special to have this recipe. 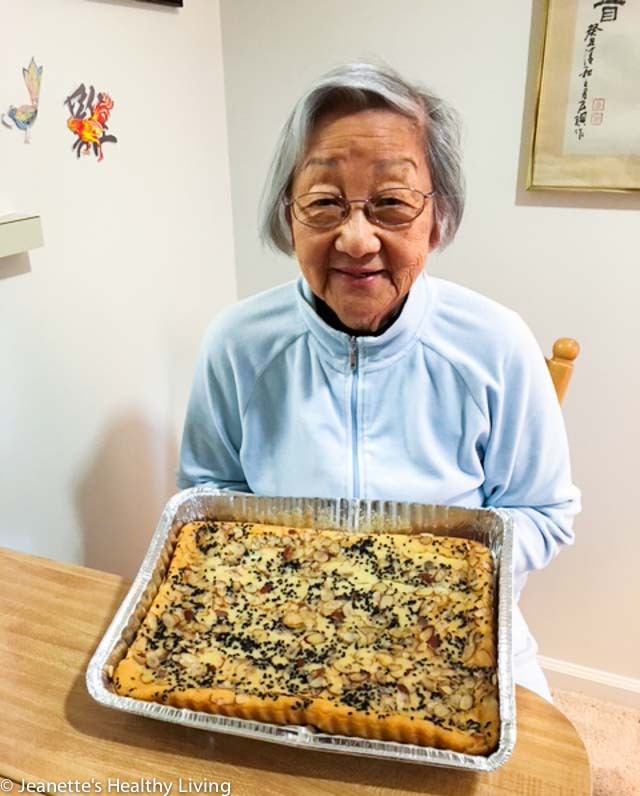 Here’s a picture of my aunt with a Coconut Sticky Rice Cake I sent to her several years ago (with black sesame seeds and almonds on top). Before we get to the recipe, I just want to explain a little something about the foods that are eaten for Chinese New Year. There are lots of traditional foods that are eaten for Chinese New Year, mostly because they either sound like words that mean prosperity, luck, wealth or good fortune, or look like money or gold. Chinese people are into the symbolism of food. For example, food that might be served for Chinese New Year include a whole chicken (family unity), a whole fish (surplus), duck (happiness), lobster (life and energy), Buddha’s Delight (a vegetarian dish made with symbolic ingredients), shrimp (wealth and abundance), oysters (good fortune), scallops (shaped like ancient coins), tea eggs (fertility), noodles (longevity), jiao-tze or dumplings (shaped like old coins), turnip cake (prosperity and rising fortunes), and spring rolls (resemble gold bricks). Although dried bean curd can be eaten (happiness), fresh tofu is not served because its white color symbolizes death and misfortune. Tangerines, oranges and pomelos are given out for good luck and abundance. Although traditionally, sticky rice cake is steamed, my aunt came up with this baked version because it’s easier and tastier. This cake is nothing like your typical cake – the texture is like mochi – it’s sticky. It also happens to be gluten-free. I have to agree with my aunt – I like this even better than the steamed version. 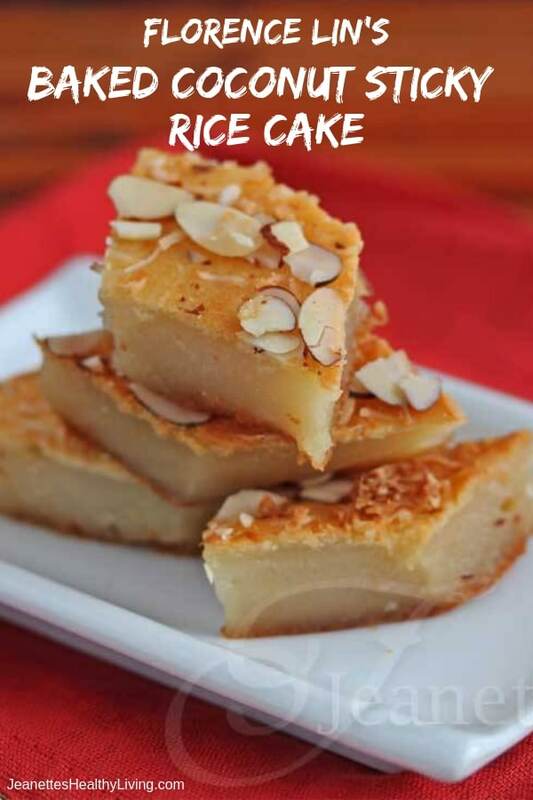 I remember the first time I made this coconut sticky rice cake, I split it in half and shipped half to my parents, and kept the rest for our family. I’ll be making another one of these for Chinese New Year this year. 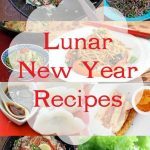 For more recipes, check out my post on 16+ Lunar and Chinese New Year Recipes. I also wrote an extensive post last year all about Chinese New Year Traditions with lots of links to books and other resources about the Chinese New Year if you’re interested in learning more. You can use one can of coconut milk (13.5 ounces) and add enough milk to make a total of 3 cups liquid. This cake is best served the next day. Place coconut milk, milk, sugar, baking powder, baking soda, and oil in a large mixing bowl. Mix well. Add rice flour while stirring. Mix well. Add nuts if desired, or sprinkle on top. Pour into a parchment paper lined 13x9x2 pan. Let cool. Cut into diamond shapes. As told to me by my Aunt Florence. Love this! I have never tried anything like this but it looks so fun. Beautiful for Chinese New Year’s! I love the texture of desserts made with rice flour, so I really need to try this! It must be like eating big chunks of mochi! Yum! That cake looks so good Jeanette! What else is on your menu for this year? Just made this cant wait to see how it taste tomorrow. I can imagine how fantastic this tastes, I cannot wait to try this! happy New Year! I can’t believe your aunt is Florence Lin! I have her Complete Book of Chinese Noodles, Dumplings and Breads. Wish it would come back in print. Hilary – I love my aunt’s cookbooks – I have all of them. The noodle and dumpling cookbook is one of my favorites! 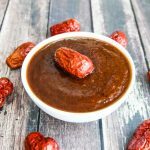 can i use less oil in the recipe – will it change it? Vinod, there is quite a bit of oil in this recipe, but I haven’t played around with reducing it. My guess is that you could probably cut it back as long as you increased the liquid by the same amount. I’ll have to ask my aunt the next time I speak with her. If you try it with less oil, please let me know how it turns out. I only have coconut cream. Can I substitute coconut milk with coconut cream? Lily, coconut cream is very sweet and thick compared to coconut milk, so I don’t think it will work unless you eliminate the sugar. 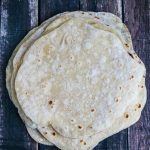 My mom used to make a coconut sticky rice cake (using rice grains, not flour) using the coconut cream (I think you mean Coco Lopez – that kind of coconut cream?). I took cooking lessons From Florence at the China Institute back in the 70’s Loved every minute of it. I am at my summer home and didn’t bring my cookbooks. Do you have the recipe for her Shrimp Toast? Judy, wow that’s great! Let me check and I will email to you. Would 2 cups of flour be equivalent to a pound ? Based on the label of rice flour I used, it comes out to 2 3/4 cups + 1 tablespoon sweet rice flour. Two questions: How would you suggest this be stored (room temperature/counter top, covered in plastic wrap in the fridge? ), and how long do you think will it keep? Hi Kiana, I would store this at room temperature covered with plastic wrap; otherwise, the sticky rice might harden. I haven’t tried frying it the traditional way but it might work – if you do this, then you might want to refrigerate it first so it doesn’t melt away in the pan. Let me know if you try it pan fried. Hi Jeanette, this looks like such a delicious recipe! I can’t wait to make it tomorrow for our Chinese New Year / Super Bowl party. Do you think it would work to bake individual ones in muffin tins? Or is a glass/casserole pan best? Hi Jennifer, I’ve never tried muffin tins – I think it might be better in a glass pan as it is a bit sticky and I’m afraid it might stick to your muffin tin. Hi, from what I see in your picture, did you add nuts to the mixture prior to baking? Also, did you sprinkle the almonds and coconuts on the top after baking? I’m afraid if I sprinkled it before baking that they would burn since it will be in the oven in an hour. I’m planning to make this for my family this week. Thanks! I didn’t add the almonds to the batter. The coconut and almond were sprinkled on top. If it starts to brown too quickly, cover with foil. Hi Jeanette, I just wanted to say this was a hit with the family. I will definitely make this again. Thanks for sharing this recipe. The only thing I wanted to share with you was that when it came out of the oven, the cake was puffy. Then as it cooled, it sank. Is that how it’s supposed to be? Just curious. So glad you enjoyed the recipe. I don’t remember my cake coming out puffy but it tasted fine, I wouldn’t worry about it. Amy – I believe that is the same product as glutinous rice flour. 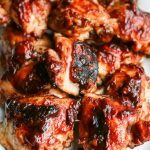 Hi Thanks so much for sharing this recipe. I love mochi! (Not so much nian gap) so I think I’m going to love this!! My oven is out of commission at this moment. Do you reckon I could still steam it? Thanks in advance! I haven’t tried steaming this, but you could try. Should they be refrigerated after? I did not refrigerate mine, but it should be eaten within a few days as it will harden the longer it’s left out. I made it and LOVED it! Thank you! I think I might add some unsweetened coconut flakes next time, and brown some for the top. Pam – thanks so much for trying this and coming back to let us know how it turned out. Love your idea of toasted coconut flakes on top as well as adding some into the mixture. I want to make this dairy free–can I use all cocnut milk or substitute almond milk for the low-fat milk? Hi Nancy,almond milk or some other dairy-free milk should work. The coconut milk referred to in the recipe is the kind that comes in the can. I do not recommend using that in place of the dairy milk as it is very rich and thick. You could use the coconut milk that comes in the refrigerated cartons. is it okay to use vegetable oil instead of Olive oil? Hi, what is the equivalent measurement size of the sweet rice flour you used? I can’t find that specific brand of rice flour, but I do have glutinous rice flour to substitute. Thanks! 1 pound of Mochiko sweet rice flour is about 2 3/4 cups + 2 tablespoons glutinous rice flour. Just found this recipe by way of Jama. Do you think a non-sugar sweetener could replace the sugar? If so, which one? I don’t eat sweets but I think this could be the exception! Thank you! I haven’t used non-sugar sweeteners much, but I’m guessing if it’s one that is the same weight (one for one for regular sugar), it might work. Can you use organic coconut sugar instead of organic sugar? I’ve never tried it, but I think it should be fine – the end result may be darker in color. Also diabetic here can I substitute sugar for Erythritol??? 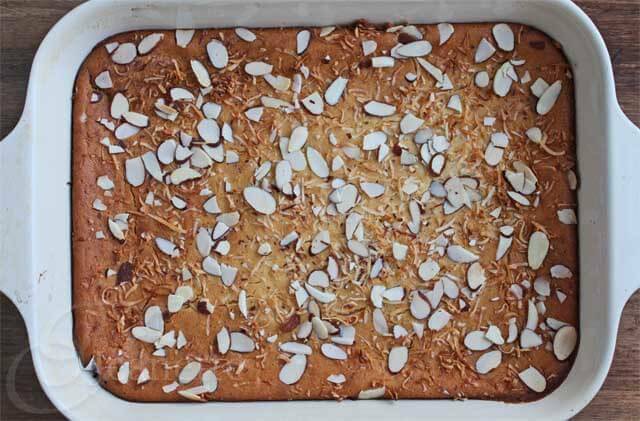 Hi Vic – you might try this version of baked coconut sticky rice cake (my mom’s) with eggs. I’ve never tried substituting sugar but I’m guessing if it is a cup-for-cup substitute sugar, it might work. Thanks so much for letting me know how your sticky rice came out with the substitutions. Very helpful! How can I send u pics of cake? Hi Vic, you can send me pictures of your cake to jeanetteshealthyliving@gmail.com – can’t wait to see! Thank you for this recipe. I believe it’s nearly an exact replica of a recipe my grandmother use to make as a kid!! Re the other commenter: mine did indeed puff up then deflate but I remember it being that way when my grandmother made it. It’s softer than hers but like you said. It’s best the next day so I think that firms it up. You have made my day!! Thank you!! So glad you enjoyed this recipe – it’s one of my favorite sticky rice recipes! I just made this for a lunar new year celebration I’m attending tomorrow. I have two questions – if you make it the night before, do you serve it cold or reheat it somehow? And how do you suggest storing it if there are leftovers? Thank you so much for sharing this recipe, I can’t wait to try it! Hi Jessi – if you leave it out at room temperature, you can just serve it room temperature. I’ve left it out for a few days – if it’s more than a couple of days, I would refrigerate it and warm it up slightly in the microwave when you’re ready to have some more. Happy Chinese New Year and hope you enjoy this! It’s a very special recipe from my aunt. Can you leave the almonds out if you have guests with a tree but allergy? This looks good and I’d like to try it, but don’t want to leave anyone out. You don’t need to add almonds on top – that’s just for garnish. I do not recommend using water – coconut milk is very thick. You might be able to substitute soy milk or almond milk which has some body. This is a favourite! Wish I could have a small slice now. Happy New Year, Jeanette! Delicious recipe! It’s texture it’s very Mochi like. I love that it seems slighter less sweeter than the typical sweet Nian Gao. Thanks for this recipe, it definitely reminds me of home cooking! 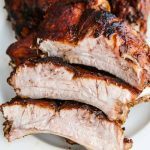 Christine – so glad you enjoyed this recipe – thanks so much for letting me know! We are so excited to be baking this right now! 27 minutes to go. We subbed almond milk due to one daughter’s dairy allergy. Thank you for sharing so much information! My kids are adopted from China, so we try hard to learn what we can and appreciate their heritage. 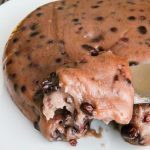 Hope you and your kids enjoyed this sticky rice cake – so great that you are sharing their heritage with them! 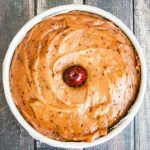 Lastly, I happened across your blog when I searched for walnut red pepper dip (which looks great too!). I’ll definitely be checking out more of your recipes.